1-4 Underwood Road, Longcroft, Bonnybridge, Scotland. FK4 1ST. 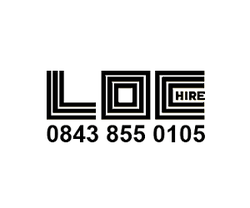 LOC Hire is a specialist hire company who are committed to providing their customers with the highest quality products and services. LOC Hire was established to bring a new level of professional expertise to the hire market in Scotland. Our strict adherence to only stocking market leading products and our genuine pursuit of service excellence is what sets us apart from the other hire companies. Our business is built on the successful relationships that we forge with our clients. We make sure that a LOC Hire Adviser is more than simply a customer service operator. They are trained to listen, understand and empathise with your needs, goals and concerns. Our goal is to give you the best service with the most competitive prices on the market.